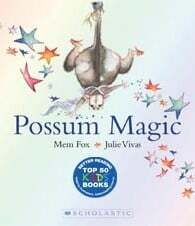 Once upon a time, but not very long ago, deep in the Australian bush, there lived two possums. Their names were Hush and Grandma Poss. 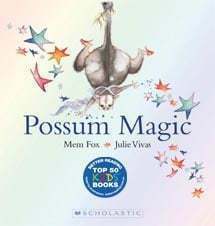 Written by Mem Fox and illustrated by Julie Vivas, Possum Magic won the Ethel Turner Prize for young people’s literature in the 1984 NSW Premier’s literary awards. It still one of the most popular children’s picture books of all time.